The PowerSafe TS range of single cells offers high performance, long life solutions for renewable energy applications. 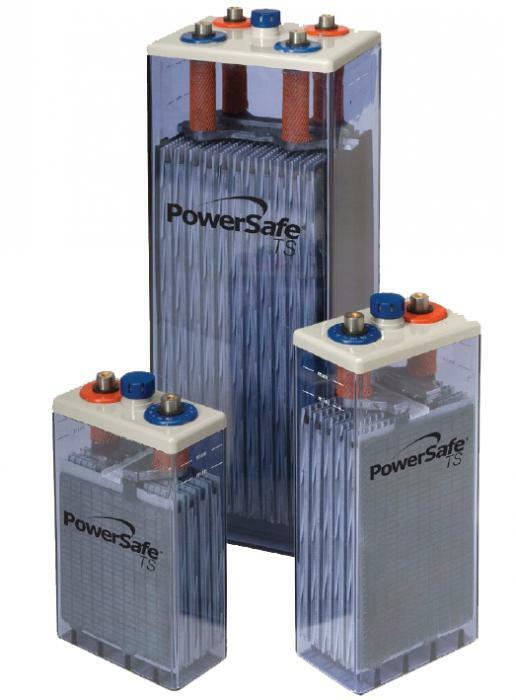 PowerSafe TS cells are based on proven vented technology and designed for renewable energy applications that require maximum cycle life with the highest level of reliability. They are particularly suitable for use in solar energy installations, ensuring a continuity of electrical supply during the hours of darkness or during periods of reduced sunshine. Reduced maintenance is achieved through the use of additional electrolyte which means cells only have to be topped-up once a year. This helps to keep down maintenance costs and makes them an ideal solution for many remote or unmanned locations. Tubular positive plates are widely used in batteries for particularly demanding applications. In the PowerSafe TS range they have been optimised to give an extended cycle life and increased capacity.